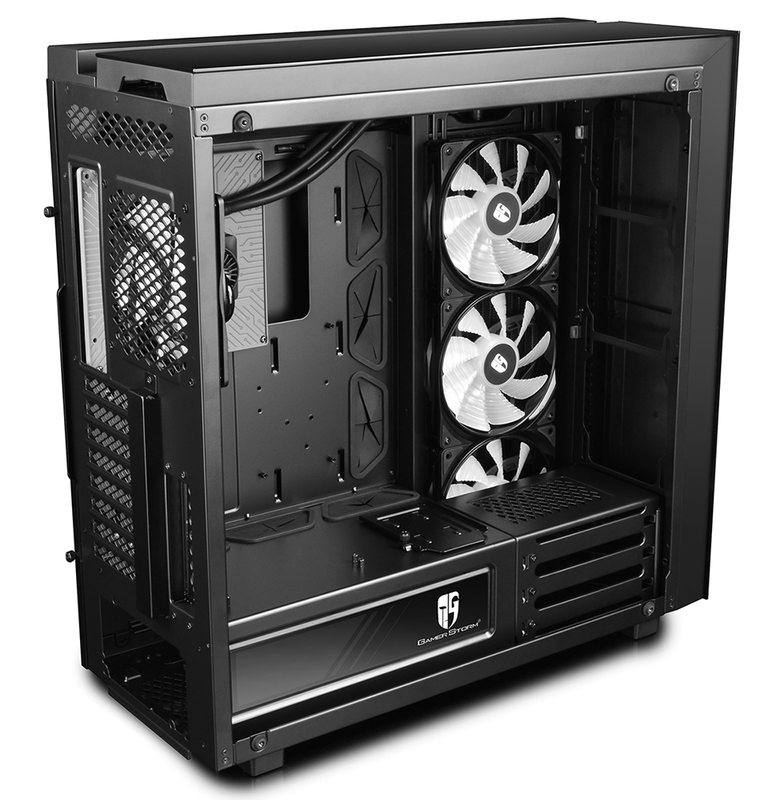 We've had an influx of high-quality chassis in the last six months, but though the likes of the be quiet! Dark Base 700 and Fractal Design Define R6 come highly recommended around these here parts, they probably aren't the best fit for those users seeking a chassis that is likely to turn heads. The more flamboyant enclosures aren't usually our cup of tea, but we must admit, we've seen plenty of modded builds over the years that have unmistakable wow factor. 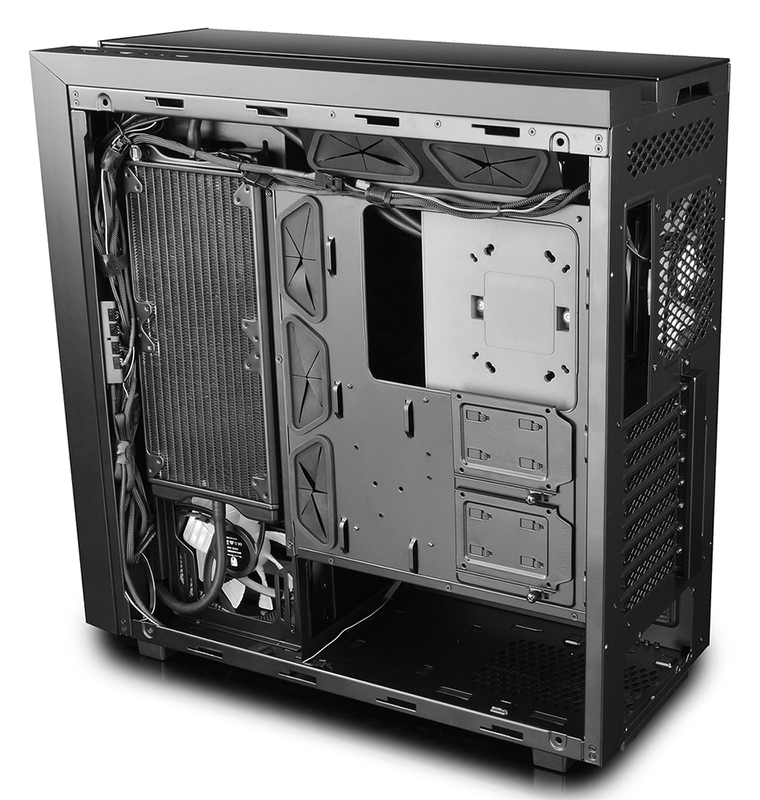 Wouldn't it be handy if an off-the-shelf chassis was able to offer an almost modded look with minimal work? 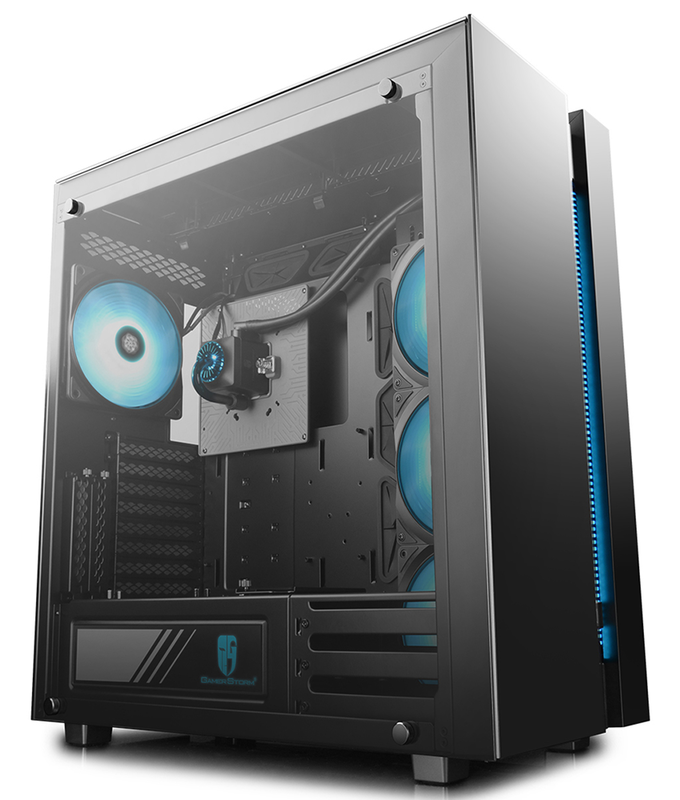 That's kinda what you get from the Deepcool Gamer Storm New Ark 90. 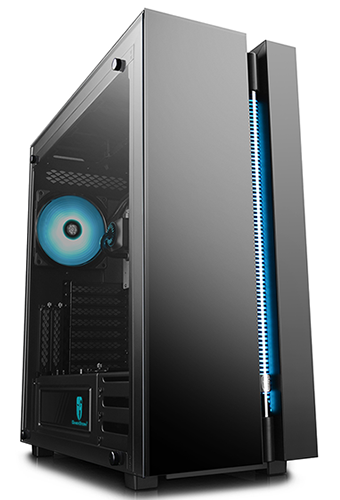 The Chinese manufacturer has a history of doing things a little differently, and New Ark 90 continues that trend by offering eye-catching looks, lots of tempered glass, an integrated liquid cooler and plenty of RGB razzmatazz. 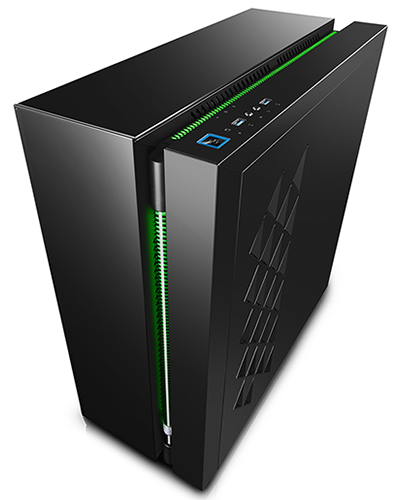 A $300 US price tag is somewhat steep, yet there's little else like it on the market, and as a one-stop solution to a dazzling build, New Ark 90 offers plenty of intrigue. Remove the case from the box and the first thing you'll notice is the scale of the 530mm x 232mm x 546mm frame. 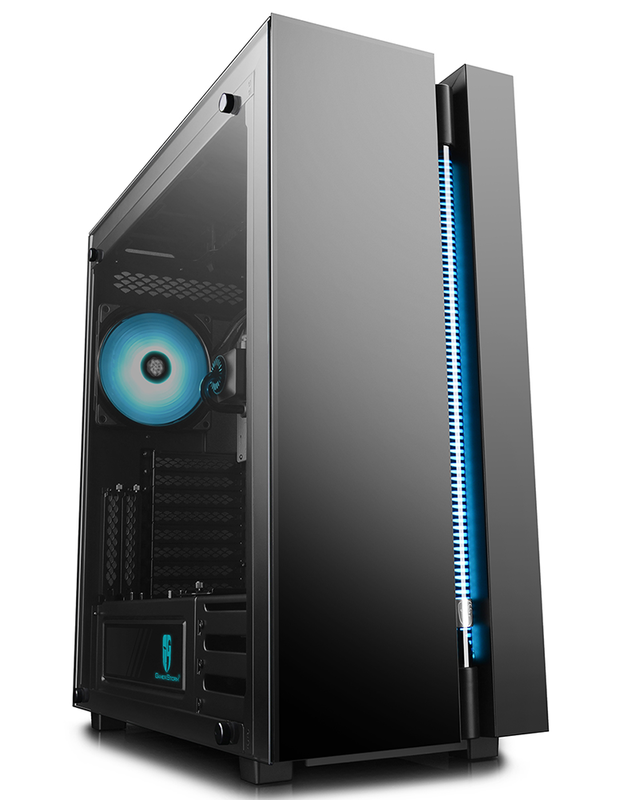 It's no shrinking violet and sits somewhere between a mid- and full-tower solution, however the size is reasonably well masked by tinted tempered glass panelling on the top, front and side that gives the whole package a surprisingly elegant finish. Providing a little extra flair is a channel that runs across the top and front. Neatly implemented, the top channel is lined with an RGB LED strip that's both bright and even, while the front channel is home to a transparent water tube whose rotor makes the flow of liquid available for all to see. Factor in the RGB lighting on the water block, PSU shroud and four fans, and you have a healthy dose of out-the-box illumination. 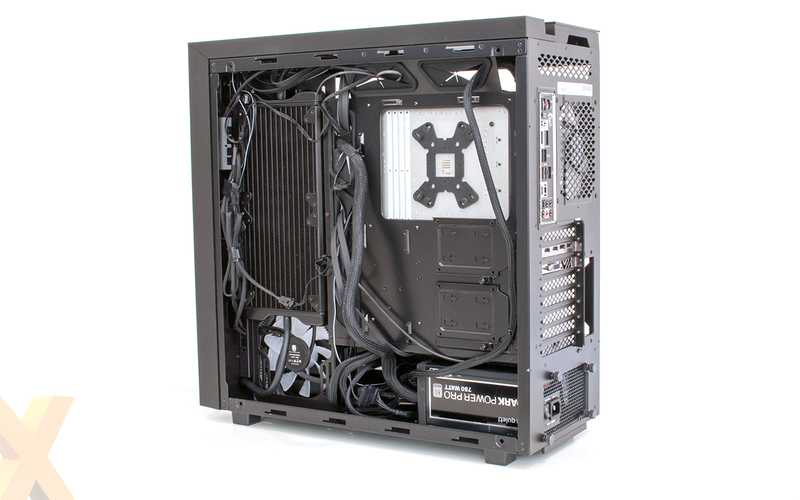 Given the focus on lighting, it's a shame Deepcool hasn't put a little more effort into controls and ports. The RGB effects are customised via three buttons - mode, brightness and speed - located to the side of the top I/O panel. They work well enough, but the lack of headers for software control and synchronisation with other hardware is a missed opportunity, and so too is the port selection. 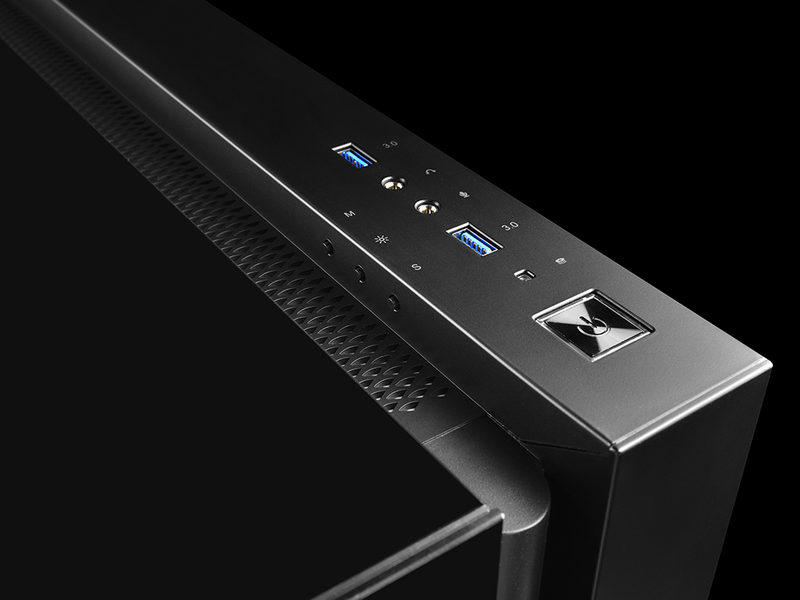 Deepcool sticks to the usual selection of dual USB 3.0 and a pair of audio jacks, but at this price point we had hoped to see USB Type-C feature as standard. Overall build quality is decent, though some of the black paintwork does scuff quite easily and needs to be handled with care to maintain the sleek aesthetic. 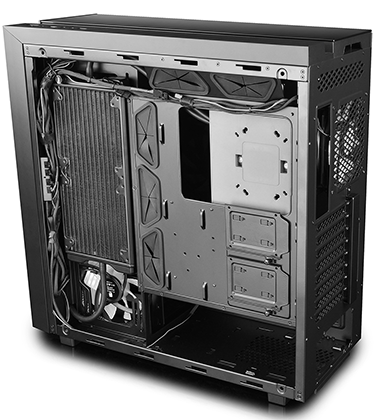 Perusing the exterior of the case reveals a largely modern design, with no 5.25in drive bays and eight expansion slots that are augmented by two additional slots allowing for vertical graphics card installation via an optional bracket. 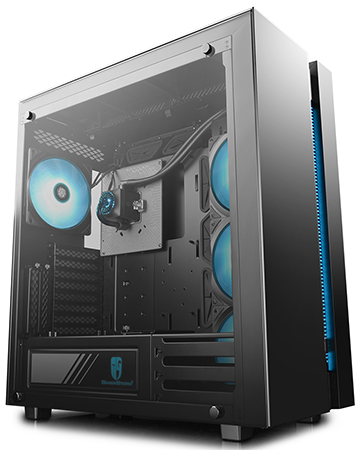 Hinting at the liquid cooler beneath, the rear side panel is dotted with "dragon scale" venting that helps feed the underlying radiator with sufficient airflow. 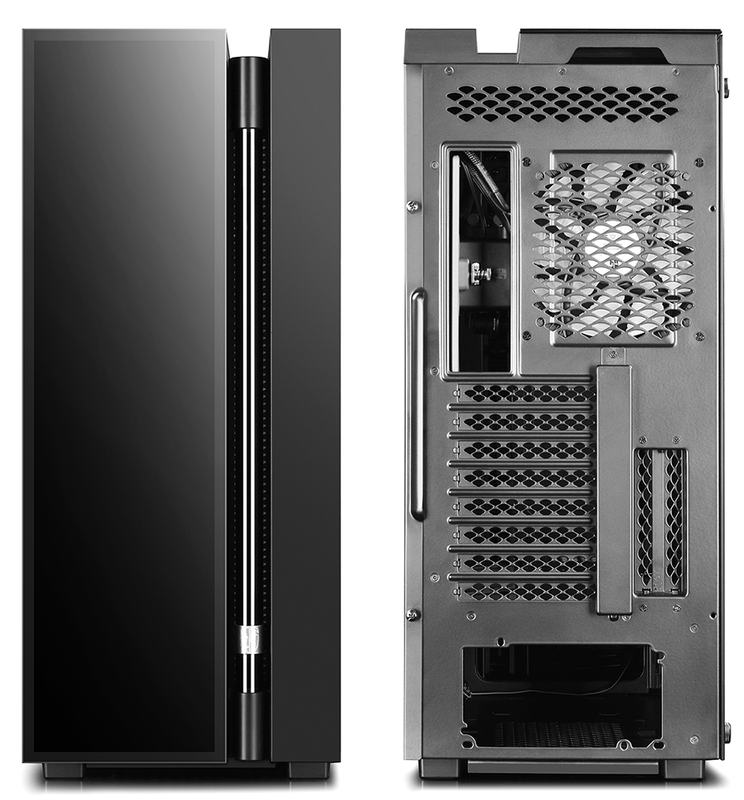 Speaking of which, Deepcool's pre-installed cooler is a Captain Series all-in-one liquid system whose water block is paired to a large 280mm aluminium radiator via a pair of flexible rubber tubes. The radiator is already in place to help simplify installation and the water block is shipped on a mounting plate to minimise the risk of damage during transport. 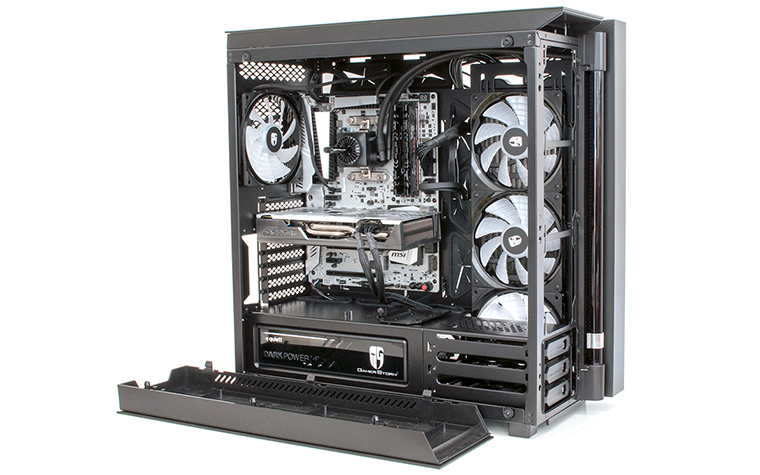 It's a handy configuration if you have your heart set on liquid cooling, and the supplied mounting kit supports all the latest AMD and Intel sockets bar Threadripper. There's only a small amount of bundled thermal paste, so you'll want to make a good job of your first installation, but Deepcool does supplement the two radiator fans with a third 140 just below the radiator and a fourth 140 as a rear exhaust. If that doesn't cut it, you'll find half-a-dozen spare 120 mounts; three in the roof, three in the front. 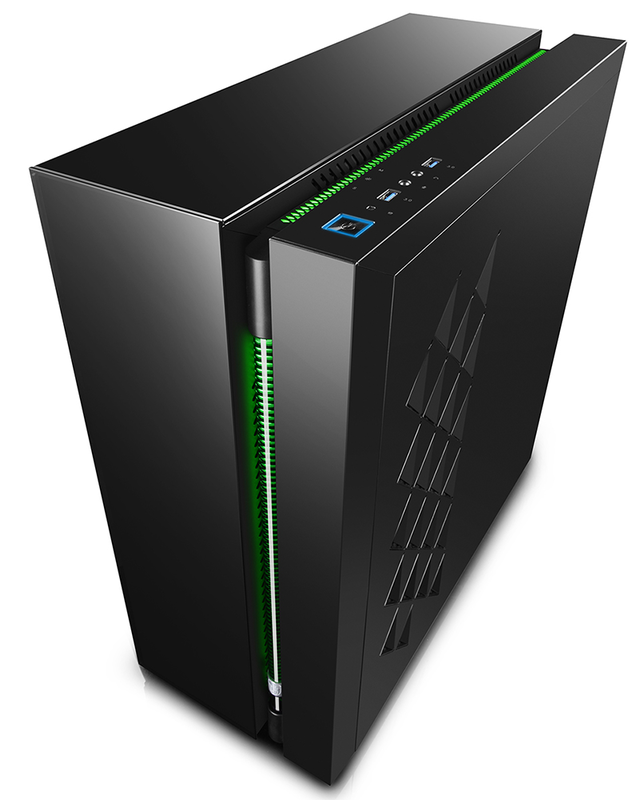 Out-the-box cooling performance ought to be very decent, and New Ark 90 doesn't overlook the other essentials. 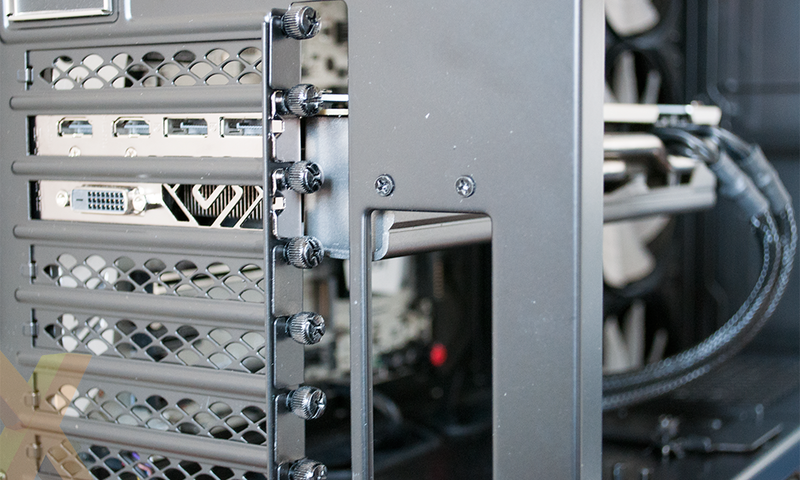 A hard disk cage at the end of the PSU bay can be loaded with three 2.5/3.5in drives. 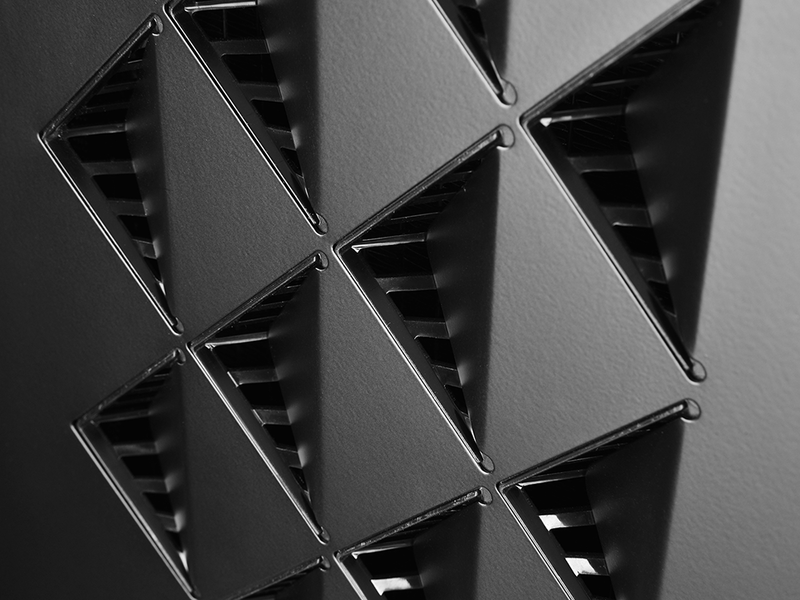 Each tray is of metal construction, numbered and accessible from the front by pulling away the covering panel. 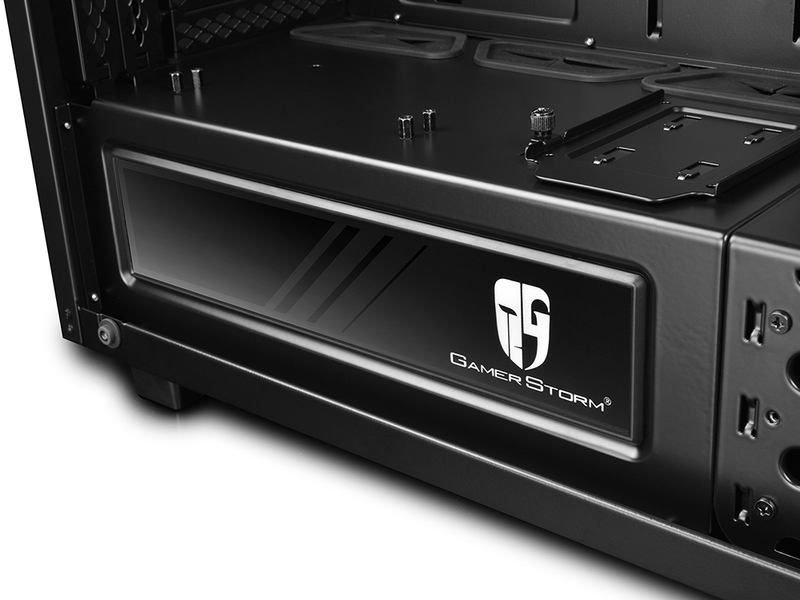 The PSU shroud itself is tidy, with a small transparent section revealing your choice of supply, a backlit Gamer Storm logo and a trio of rubber-grommeted holes for routing cables up into the main cavern. 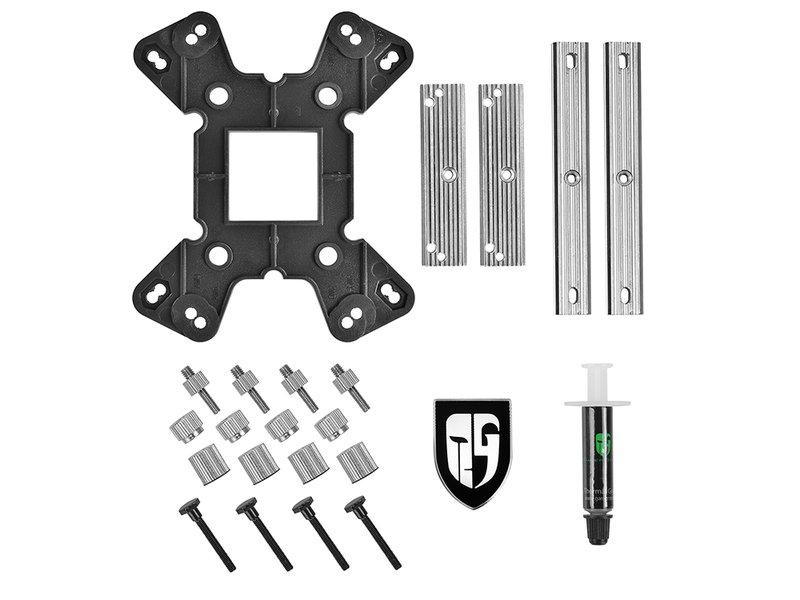 Taking a logical approach to layout, there are similarly large cable routing holes to the top and side of the motherboard tray, which itself can accommodate an Mini, Micro, ATX or E-ATX motherboard measuring up to 305x276mm in size. 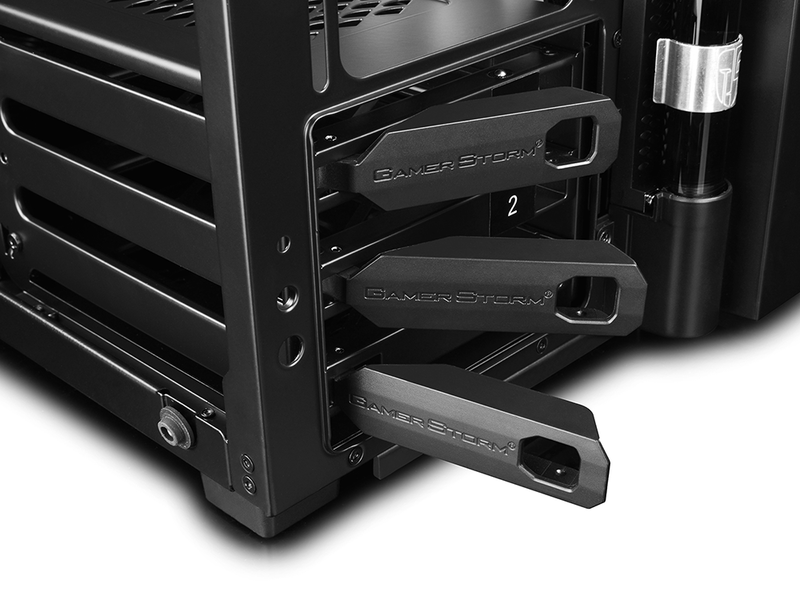 A further three 2.5n drive sleds are available for SSDs - one sat atop the PSU shroud, the other two fixed to the rear of the motherboard tray - and though the default configuration results in a fair few cables, generous space behind the tray combined with ample tie-down points helps maintain a neat finish. Our AMD Ryzen 7 test platform looks pretty darn good inside the New Ark 90, if we may say so ourselves, though the installation process did reveal a couple of usability quirks. Firstly, the arrangement of expansion slots is awkward as the two vertical slots fouled our somewhat large Radeon RX 580 graphics card. 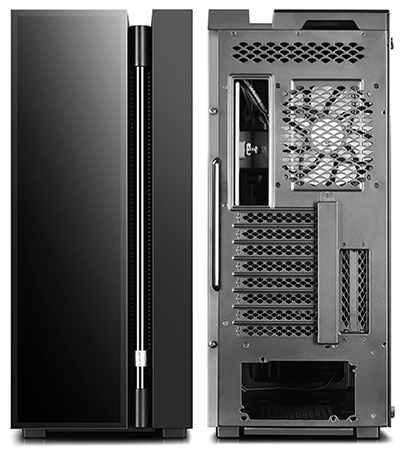 The entire vertical slot assembly had to be removed in order to get the GPU in place, and after installation, the height of the Sapphire card wouldn't allow the vertical cover to be put back in place, leaving a less than ideal hole at the back of the case. 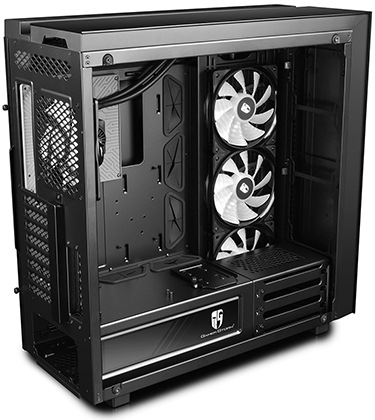 Secondly, aside from the pull-out filter beneath the PSU, dust filters are conspicuous by their absence, so long-term cleanliness could be a cause for concern. 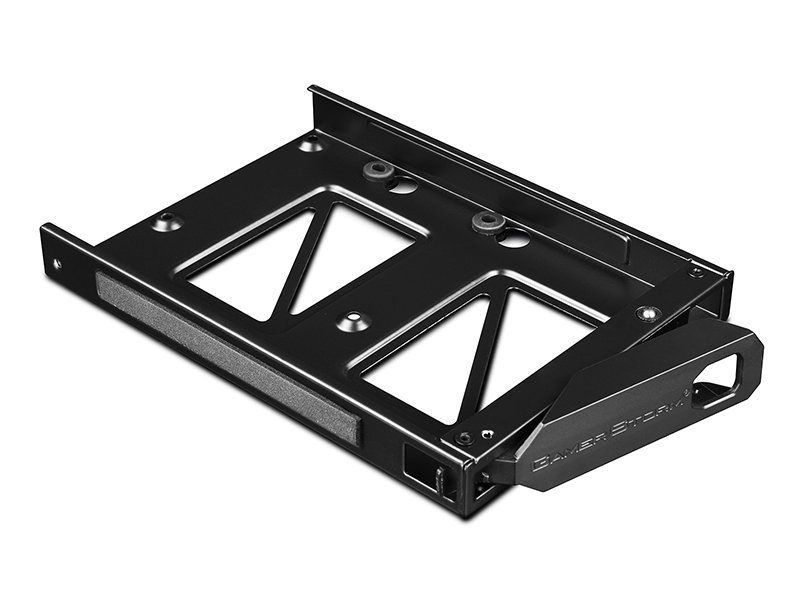 Another small snag to be aware of is that the trio of hard disk trays look like they enjoy tool-free mechanisms but each bay is secured via a screw, so they aren't quite as hot-swappable as they first appear. Our gripes however are few and far between, and we like the way the supplied radiator fills the void that is typically bare in most other enclosures of this size. 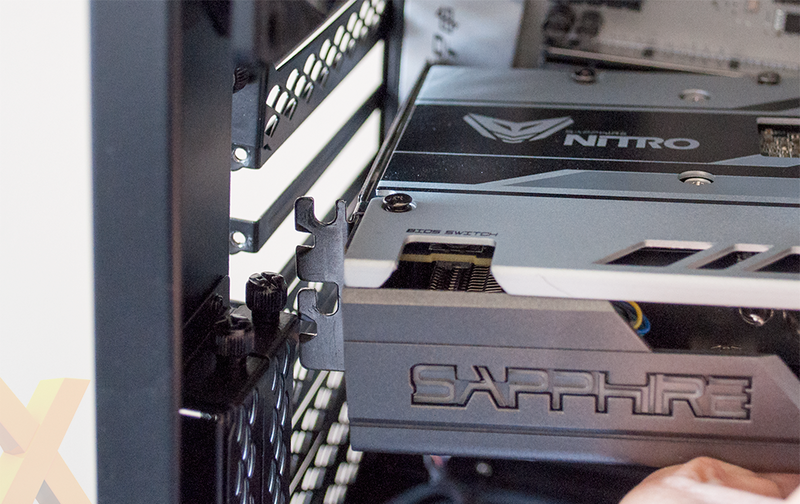 It's certainly an eye-catching build, let's now see if performance is up to scratch.